TechInAfrica – MTN Zambia recently has launched TeleSchool, a platform to help the examinations of twelve grade students in Zambia. The launch of TeleShool aims to increase Zambian students’ access to central educational elements, including teachers, past papers, and tuition. The technology was proven to increase 2.9% of the grade twelve students pass rate in 2017. The Chief Marketing Officer of MTN Zambia, Felix Kamenga figures that technology plays a key role in increasing grade twelve students’ performance in their examinations. “Last year’s increase in the pass rate of 2.9% demonstrates the potential for Zambian students to do even better. With access to technology rising across the country, there was always a need to identify opportunities where students can benefit from technology to improve their learning process,” he says. Kamenga also explains that social media can actually be used positively and productively by the Zambian youths. By accessing the platform, students can turn social media into a positive habit that will contribute to making a difference in their lives and future. “It really does show how social media can be used positively. We fully believe that this initiative will help raise the performance of grade twelve students, giving them lessons with the best performing teachers and use of past examination papers as revision tools through our Facebook Live platform and MTN TV+ app,” he explains. The launch of TeleSchool by MTN Zambia is also supported by the Ministry of General Education and the Zambia Teachers Forum. It is their effort to support the Zambian government’s target to increase the quantity of teachers to student ratio. For the next 10 years, it is predicted that TeleSchool will provide over 55,000 teachers. The Assistant Director of the Ministry of Transport and Communications, Austin Sichinga remarks that the existence of TeleSchool will help to overcome educational challenges by providing tutorial lessons and training using social media for main subjects like Math, Science, Biology, and English. 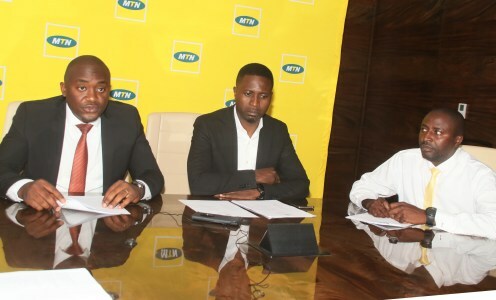 In order that the project run perfectly, it will also be supported by MTN’s countrywide network coverage. “With this project which has been initiated by MTN Zambia, we hope to see an increase in the pass rate of students in all parts of the country. We have engaged best performing teachers to aid students in the preparation for their grade twelve exams and believe it will contribute to a rise in the national pass rate.” Sichinga says.